Former Mars Hill Church’s public relations spokesperson Justin Dean has apparently apologized for selling Mars Hill Church’s mailing list. I say apparently, because he doesn’t say exactly what he did. Under no compulsion other than my conscience and the Holy Spirit, I have admitted in detail my wrong doing and repented to current Mars Hill leadership, and by God’s grace I have received their unconditional forgiveness. I am also very sorry to everyone on the email list and I please ask for your forgiveness as well. Please note that any further use of this list is forbidden and would be illegal without the permission of Mars Hill Church. From the context, it appears that he is admitting selling the list. However, if this is not what he is admitting, I hope he will contact me with the details. His twitter account is also back up. For the background on this story, see this post and this post. This apology doesn’t address who was actually selling the list or how they got it. According to the Church Leaders List website, the list was maintained by a group of unnamed Christian leaders. This website is managed by a group of Christian leaders, however we are not able to provide support at this time. If you have questions you can contact us on Twitter @listchurch. We still don’t know who they are. The owners of the churchleaderslist.com are hidden behind a domain privacy service and Dean doesn’t make it clear whether or not he is one of the leaders or if he just referred buyers (e.g., Craig Gross) to the leaders. Guest post by Nelson Keener. Nelson Keener graduated from Liberty University and served as the late Jerry Falwell’s assistant during the seminal days of the Moral Majority and later in a similar capacity with the late Chuck Colson. He resides in Lancaster, Pennsylvania. At Liberty University College Democrats are not recognized as an official university club. Does this mean the prominent Christian institution, founded by the late Jerry Falwell, adheres to political neutrality or “separation of church and state”? Hardly. Earlier this week the administration freely handed a microphone to U. S. Senator, Ted Cruz (R Texas) and alongside the university seal embossed on the podium, Cruz announced his candidacy for president to a captive audience of ten thousand or so LU students and faculty. As a person, Cruz comes across to me as sincere and winsome. He is likeable. In his rousing speech he forthrightly affirmed his faith as a Christian; a follower of Jesus. The audience applauded his religious faith. It’s this constituency Cruz wants to reach. A slice of the Evangelical pie that in the last three decades has become a formidable, some would say contentious, political force known as the religious right. One can’t fault Cruz for choosing such a venue. It’s the purpose and context that troubles me. But Ted Cruz the person and his tactics are not what is so disquieting for me. In The New Testament the John the Baptist proclaimed Jesus’ message and mission of God’s Kingdom then baptized him. After which Jesus immediately withdrew to the desert and spent 40 days and nights fasting alone in the wilderness. In the fledgling years of Liberty University Jerry Falwell declared himself a capital “F” fundamentalist, a term he touted often and emphatically, intentionally and proudly. 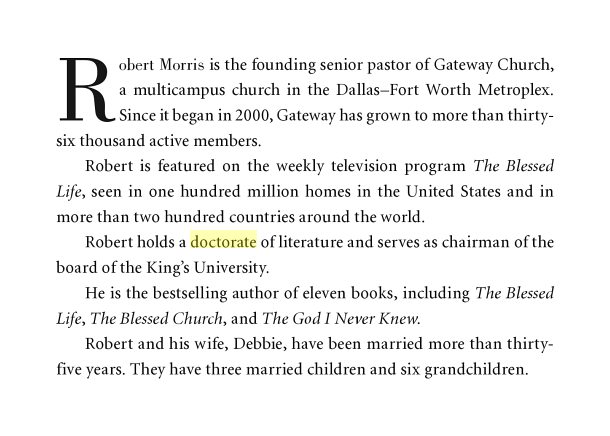 Speakers for chapel services and commencement addresses were mostly fundamentalist preachers. But “Thus sayeth the Lord” sermons simply do not garner networks’ news coverage in the fashion Ted Cruz did recently. As an alum myself, it was pleasing to see Liberty over time include a wider spectrum of commencement speakers than pulpit-pounding preachers. Now students hear orators like Newt Gingrich, John McCain and Glenn Beck. Same fiery style, different content; some good, some not so good. But is LU now inviting politicians too often? In a recent 10 year span, seven of the commencement speakers were politicians or culture war pundits. For an institution with hundreds of majors, that’s rather lopsided representation. Is it time to drop or at least reduce the number of politicians as keynote speakers; especially those running for elected office? Maybe so. Why? Because too few politicians speak prophetic truth when orbiting for office. They protect their own interests and expound what is expedient to gain votes. Polished rhetoric and partisan ideology seldom stretch students and graduates minds beyond their parochial world. At the end of Jesus 40 days in the desert the devil showed up and shamelessly made a couple of propositions that Jesus flatly turned down. Here’s the text. Jesus as much as told Satan, “Go to Hell.” And Satan crept away (until the next round), pointed tail between his legs. Another time the religious powerbrokers brought Jesus to Pilate to be judged. “Training Champions for Christ,” is LU’s motto, prominently displayed throughout the campus. There’s nothing wrong with it. But did Jesus ask us to “champion” his cause? Jesus seldom used such language. His teachings and temperament did not indicate that political power was something he sought. He didn’t speak about winning. He did speak about losing. Does the religious right somehow miss, or worse ignore, the principle that Jesus not only eschewed earthly power, he rejected it. Is it not the call of the gospel to work for God’s Kingdom now; not our kingdom? Isn’t it in doing God’s work that His Kingdom will come? What if thousands of young people were deployed as champions for the disenfranchised. That’s Kingdom work. Wow! Thanks to Nelson for submitting this guest post. Does the Liberty University Wing of the GOP Appeal to the Masses? I have had several of those kind of conversations over the years. The power players have been both liberals and conservatives. Group dynamics don’t seem to know party loyalties. In this case, Merritt uses this story to pursue what promises to be a significant story line of the 2016 election. Can the cluster of religious right positions held by Ted Cruz and featured by Liberty University earlier this week appeal to the rest of the country? Merritt seems skeptical and I agree with him. The question that is yet to be answered is whether their kind of conservatism — the Liberty University kind — is too rigid, radical, and Tea Party-friendly for most Americans, including moderate conservatives and centrists like me. I am aware that not all people who teach at Liberty University are as far right as the administration appears to be. Liberty is often known for the work of the Liberty Counsel and the law school once headed by Mat Staver. As I just pointed out, Liberty law school associate dean Matt Barber wants the Christian right candidates to cut a back room deal to choose the Christian candidate for president. In any case, I am not excited about a theocrat as a representative of the GOP, and I suspect most of the electorate won’t buy it either. Correction: The original post identified Mat Staver as current head of the Liberty University School of Law and implied that Matt Barber was with the Liberty Counsel. Staver completed his tenure as Dean of the law school in 2014 and Barber is not with Liberty Counsel. I regret the errors and thank Mat Staver for pointing them out. Author Warren ThrockmortonPosted on March 28, 2015 Categories politicsTags jonathan merritt, liberty university, Ted CruzLeave a comment on Does the Liberty University Wing of the GOP Appeal to the Masses? The grassroots are great except when they aren’t. Matt Barber wants all the religious right candidates to go on holiday somewhere to “an undisclosed location,” fast and pray and then vote on who will run against Jeb Bush. In a way, without the delegates, it would be the beginning of a Christian party choosing a candidate to run against the GOP and Democrats. Barber apparently thinks the problem with religious right candidates is that there are too many of them, not the fact that their message isn’t going to win over the nation. And then if the Christian party wins, all the spoils goes to those guys who sacrificially supported the other guy. The problem for the GOP is that any of the people Barber mentioned would lose large in the general election. However, this “can the far right win?” question is going to be a big story line in the 2016 election so maybe those Christian right candidates should squeeze their egos into one room and hash it out. Let the GOP voters then decide if it is the Christian Party or the Republican Party. Reading the book U-Turn: Restoring America to the Strength of its Roots is a frustrating experience. For the most part, authors George Barna and David Barton labor to make the case that America needs to turn back to God in order to avoid judgment. I have been hearing these appeals since I was in high school (“If my people who are called by my name…”). In all of them, the speakers or authors have warned that America had become so bad that judgment was just around the corner. As a part of their efforts to make a doomsday scenario believable, the authors recruit lots of statistics and surveys. This is understandable since George Barna is a pollster. However, what is puzzling is Barna’s and Barton’s failure to use the most recent work of the Barna Group. To illustrate, here is what Barna and Barton say about students, their faith and college attendance. To me, it seems odd that Barna would cite someone who cites him. Why not just cite your own work directly? More puzzling, perhaps, is the fact that Barna did not cite the recent research group bearing his name. * Furthermore, in U-Turn, he makes the situation sounds worse than it is. The 2006 Barna said that 61% were “spiritually disengaged.” The 2014 Barna says 61% of youth “abandon their faith.” As the 2011 Barna Group article will teach us, being spiritually disengaged isn’t quite the same thing as abandonment of one’s faith. In a 2011 article on the Barna Group website, five myths are identified about youth leaving church. While it isn’t the last word on the subject, it is a reasonable article which breaks down the religious development of several groups of young people. Barna and Barton should have used it. People considering this book should be aware that Barna didn’t use the research he helped start in 2007. Compare what Barna says in his new book with what an article on the Barna Group website said in 2011. It seems ironic that he has become one of the people who say a large majority of young Christians will “lose their faith.” As the 2011 article correctly notes, the reality is more nuanced. If you want nuance, skip U-Turn and read the Barna Group’s website. Mr. Barna, I didn’t say it; the group you founded did. It is too simplistic to blame changes in faith on higher education. And yet, that is exactly what you and David Barton do in your book. I recognize you also blame parents, but let me go out of a limb to say I think that is too simplistic too. There are more instances where data are used incorrectly to yield a misleading conclusion. There are too many problems with this book to address them all but I intend to get to some of them as I am able. For more, see also here and here. *The original post indicated that Barna was affiliated with the Barna Group. 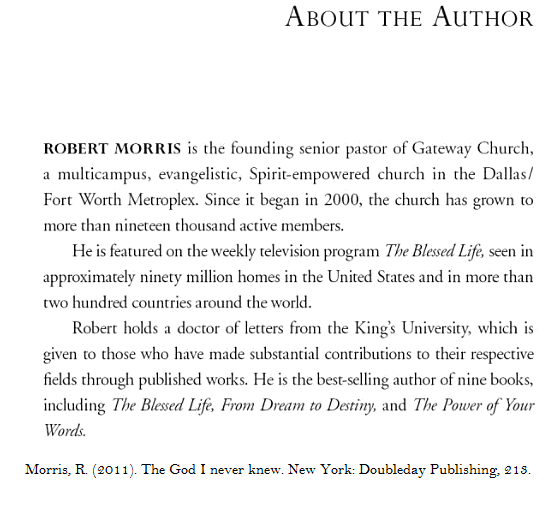 He sold it in 2009 to David Kinnaman. When Mars Hill Church closed the doors for the last service, the corporation Mars Hill Church did not cease. However, it has never been clear who remained in charge of the organization on a day to day basis. By by-law, the church’s Board of Advisors and Accountability has the power to create a plan of dissolution but the church has not disclosed who remained on that board. While I don’t know all involved in that capacity, I do know now who is the president of the church. Also, one person often speculated to still be involved is not. According to documents filed last week in the King County court house, Chief Financial Officer Kerry Dodd is referred to as the president of the corporation. Dodd was hired by Sutton Turner early in Turner’s tenure as executive pastor. According to a 2012 memo to fellow executive elders, Turner considered Dodd to be a capable CFO. As president of Mars Hill, he signed documents recently in the sale of the Mars Hill Ballard building to Quest church. The other update involves former executive pastor Dave Bruskas. Yesterday, Bruskas informed me via email that he resigned all of his roles and duties at Mars Hill Church, including his corporate role, on December 31, 2014. Under the Mars Hill bylaws, executive pastors have a position on the BoAA. As of the end of last year, there were no publicly named executive pastors. At the time of the last service, remaining BoAA members were Matt Rogers, Larry Osborne, Michael VanSkaik, and Jon Phelps. Who runs Mars Hill has become relevant again due to the ongoing questions surrounding the use of Mars Hill email lists by a shadowy group/individual doing business as “Church Leaders List.” After xxxchurch director Craig Gross purchased what former Mars Hill public relations spokesperson Justin Dean called The Resurgence mailing list, Church Leaders List essentially left public view by shutting down its website and twitter account. Now there are concerns that Mars Hill had not sold the list to anyone, raising questions about how Church Leaders List secured it. Efforts to get comment from the attorney who is responsible for selling The Resurgence assets have not yielded direct comment. No one from Mars Hill Church has offered comment as well. Meanwhile, Justin Dean’s website has gone into maintenance mode and is unavailable; his twitter account has been removed. Craig Gross summarized his involvement and what he believes about the situation in a new post today.